She first came to India in 1972 to acquaint herself with Carnatic music and started studying the same at a music college in Chennai. 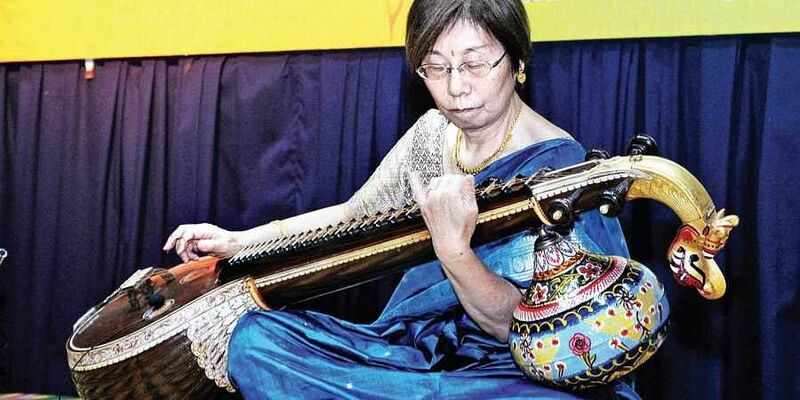 BENGALURU: Yuko Matabo is one among the many veena players in the world, but what sets her apart is that she is probably the only woman from Japan to learn how to play the instrument.The 69-year-old player had a great passion for music from childhood. She graduated from the Department of Musicology, at Tokyo University of the Arts, and received guidance from Professor Fumio Koizumi. “Professor Koizumi was the first person to introduce Indian music in Japan. He also suggested I go to India to learn Indian music. He advised me to learn both Hindustani and Carnatic music. I chose Carnatic music as it is traditional Indian music,” says Matabo. She first came to India in 1972 to acquaint herself with Carnatic music and started studying the same at a music college in Chennai. “I chose the veena as it sounds attractive. I learned how to play it from Rajalakshmi Narayanan, Kalpakam Swaminathan, M Nageswara Rao, M Sarada and N Vijayalakshmi,” she adds. Not knowing English was a challenge when she first visited India. But, the language of music, she says, “Connected us and I slowly started to gain knowledge about Carnatic music.”Her first veena concert was in Chennai 10 years ago and since then Matabo has performed in many concerts across India and Japan. “I gave a concert with N Vijayalakshmi, organised by Sri Tyagaraja Samajam, Nadopasana, in 2007. I have taken part in Veena Navaratri and I have been participating in Veena Utsavam from past five years, held every year in September in Chennai,” she says. She still visits the country twice year to take classes. “I try to learn as many aspects of the veena as I can. I also perform at veena concerts if I am invited,” she adds.When she’s back in Japan, she conducts Carnatic music classes there. “I run private Carnatic music classes and teach enthusiastic musicians, five to six students, how to play the veena,” says Matabo. Indian and Japanese music, she says, is similar too. “They both have a delicate melody line but I find Carnatic music is logical.”She recently performed in Mysuru, making it her second visit to the city. “I had earlier come here to give a lecture demonstration on the history of Japanese music. Mysuru is a very historical place and a quiet place. I enjoy visiting this place,” she adds.